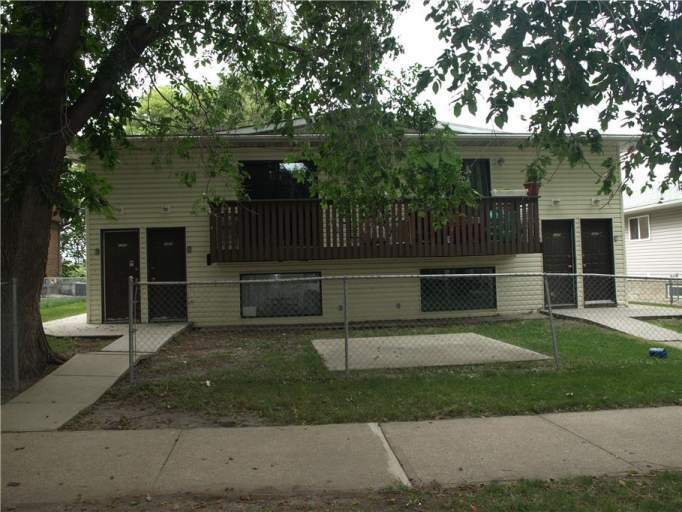 The Lower Unit in this 4 Plex is full of natural light from the large windows throughout! There is a massive living room next the front entry/closet, as well as a dining room and spacious kitchen complete with a fridge and stove. Down the hallway you will find a large laundry room with your own private washer and dryer, a full bath, as well as 3 spacious bedrooms! There is plenty of parking both on the street in the front as well as the parking pad in the back of the building.